Sharp’s exclusive patented Plasmacluster® ion technology eliminates microscopic pollutants that traditional filters cannot trap, by replicating nature’s own cleaning process of producing positive and negative ions from water vapour in the air. These ions refresh the air without any harmful chemicals or perfumes. 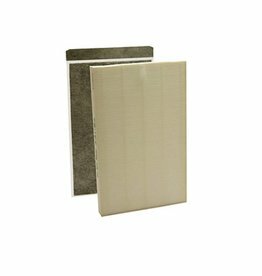 Plasmacluster® ions disperse throughout the room, actively attacking germs, bacteria, viruses, mould and fungus, reaching more than conventional filter-based systems can! 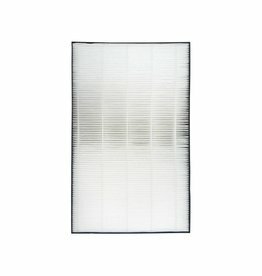 Traditional systems rely on air passing through the filter, but ions can spread to every corner of the room to actively clean. Plasmacluster ions destroy odours at the molecular level, even removing embedded odours in carpeting, drapery and furniture. The first line of defense against airborne contaminants is to keep a house clean and well ventilated. But for some sensitive people that may not be enough. That's where air filters come in. 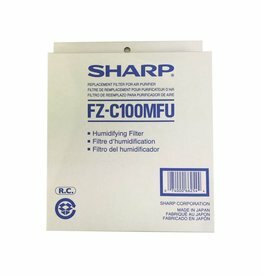 Household air filters are available in two basic types: media filters, which create a physical barrier that traps minute particles, and electronic filters, which use a high-voltage charge to attract and capture contaminants. 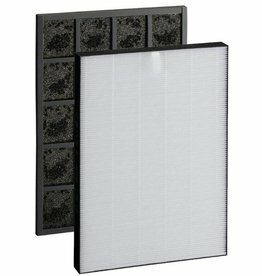 A few air filters are hybrids that combine both methods, and some include activated carbon elements to combat odor. Sharp FZ-F60HFU HEPA filter fits Sharp FP-F60UW (FPP60UW). 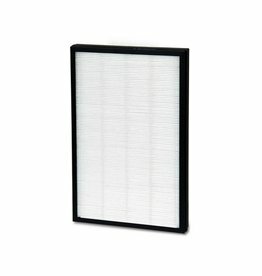 True HEPA filter (non washable). 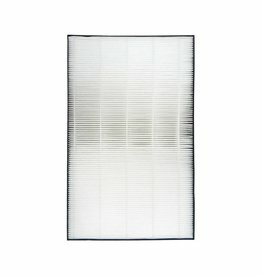 True HEPA filter traps 99.97 % of allergens and dust down to 0.3 micron in size. 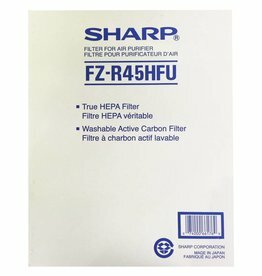 Sharp FZ-F50HFU Filter is Original OEM 2-in-1 Sharp HEPA and Carbon Filter. 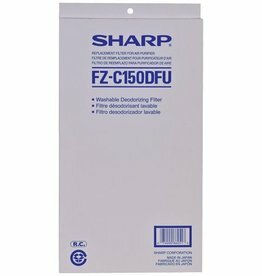 Sharp FZ-F50HFU Filter fits Sharp FP-F50UW (FPF50UW). 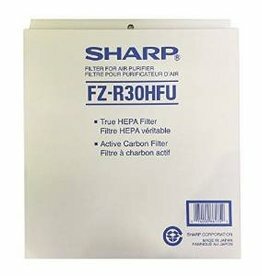 Combined 2-in-1 True HEPA and Activated Carbon filter.